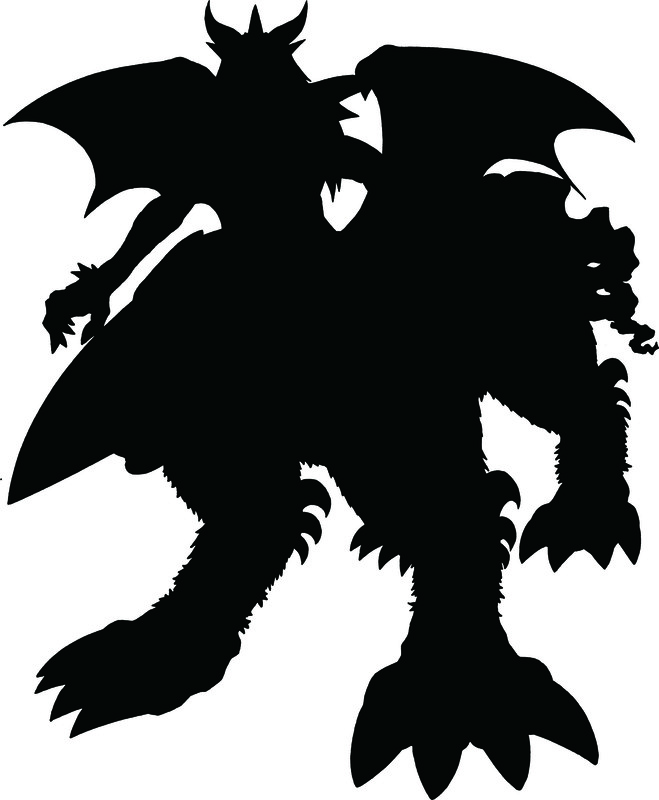 The Digimon Lineup for the Digital Monster X & More Reveals from MonMon Memo! Thread: The Digimon Lineup for the Digital Monster X & More Reveals from MonMon Memo! It's time for a big one! Can you win against GranDracmon? 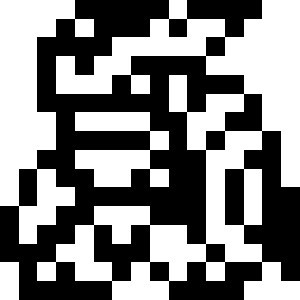 He's waiting for your challenge. They shared a bunch of cut-in animations using the XAI system in a video recently, he suggests you watch it. 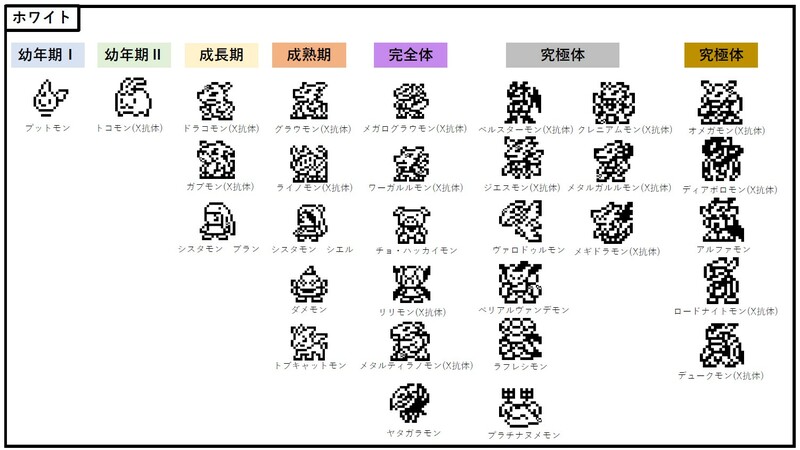 A list of the Digimon in each V-Pet! Then we have the lineup for the Digital Monster X White! Then we have Digimon that only appear as enemies! He declares it an amazing lineup! There are new X-Evolution Digimon, including those from the X-Antibody fan vote, Rhodonitemon X and Minervamon X. Some Digimon haven't done X-Evolution in some places... actually, in the Old Digital World, Digimon who haven't done X-Evolution still exist. Furthermore, if you have a Black and White communicate with eachother, a hidden area will appear on the map. 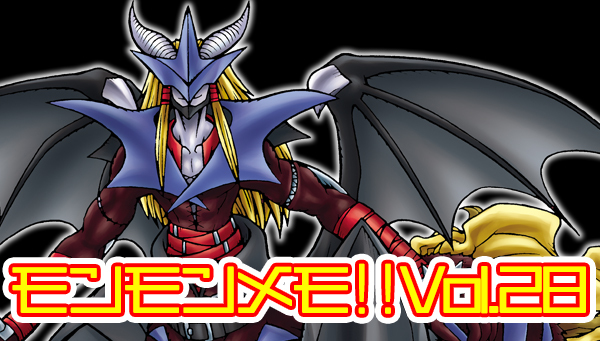 When you defeat the boss of that hidden area, the evolution route to Dukemon X will be opened! Regarding the Digimon lineup, as mentioned above, he's introducing the raising stages of Digimon! Depending on the level, max level, HP, and other things will change. Raise the level so you can win battles with the strongest enemies! The rough times for evolution are: Baby 1 to Baby 2- 10 minutes, Baby 2 to Child- 12 hours, Child to Adult- 24 hours, Adult to Perfect- 36 hours, Perfec to Ultimate- 40 hours, Ultimate to 'even stronger' Ultimate- 48 hours. Each level is also given a standardized roman numeral, which the franchise has done before, tagging the 'even stronger' (or 'particularly strong') Ultimates with an additional + symbol. There is one week left to pre-order, so if you want it, don't let it escape! He finishes by asking you to look forward to the next update. A small note, while the above is translated off the Japanese article, it does appear they are keeping a few things as surprises as later for the Digital Monster X. The most obvious being that Tsuwamon isn't listed anywhere, despite them announcing him a few days ago. Pre-orders close on November 15th. Further details on the Digital Monster X, including how to pre-order, can be found here. Premium Bandai USA recently announced they will sell the Digital Monster X directly to fans in the US and Canada. Info on that can be found here. Update- Added translated details for the raising stage/level chart thanks to garm. Raffelismon as a standard mega is interesting. I guess they did mention her without Rose and Lotos. Then again Omnimon X too etc. I'm interested as to who turns into who. A much smaller lineup compared to the Version 20th stuff, not that this bothers me much as I usually go for the Agumon line anyway. But the most surprising thing is the absense of Greymon X and Garurumon X. Black has Tyranomon X, so at least I still get my dino fix at the Champion level. Also kind of funny how there are more than twice as many Megas as there are Perfects. I'm actually really disappointed by this roster. It feels so small compared to every new anniversary vpet. I understand it makes sense for there to be non X antibodies but with a small roster it just makes me wish we had X antibodies instead. The enemy Digimon only makes it feel worse because I'd have loved to raise them all too. The X antibody poll and announcement with 6 new Xantibodies made me hope we'd see a ton of new Digimon and I'm sad that it's not the case. I'll always be sad that only 2 made it from that, there were so many on that list. Maybe the new game mechanic additions took up too much space? 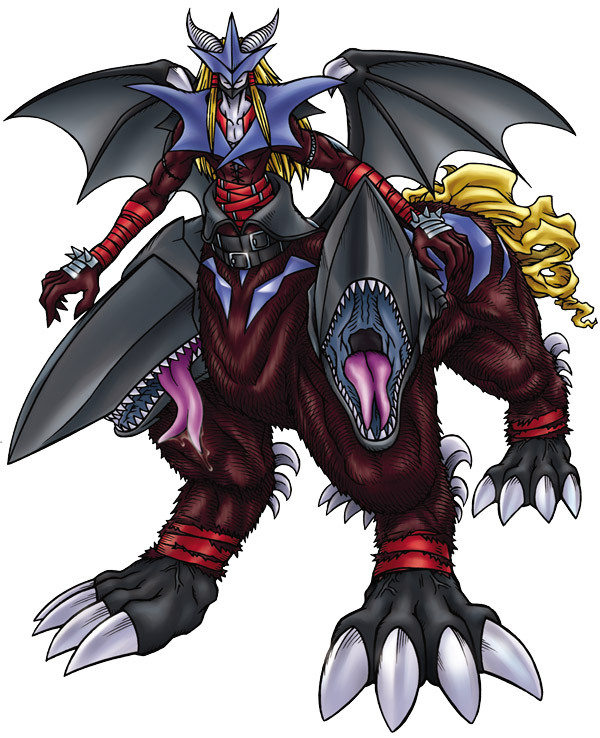 Hopefully with Tsuwarmon's exclusion there are at least 1 or 2 new Digimon or Xantibodies. I'm really happy that you only need 2 versions for Dukemon though, unlike past releases that unlocked cooler newer Digimon. It's funny how Minervamon X isn't in the White version. I can't wait to see what weird evolutions exist in this thing. I kinda love this super random evolutions typical from the Virtual Pets! My favourite combinations here are definitely Erismon > Tobucatmon, Sistermon Ciel > Cho•Hakkaimon and Lucemon FM > BelialVamdemon. I guess Tuwarmon will appear only as a fighter mode similar to how Belphemon RM switches back to SM when sleeping in the Pendulum Ver.20th. 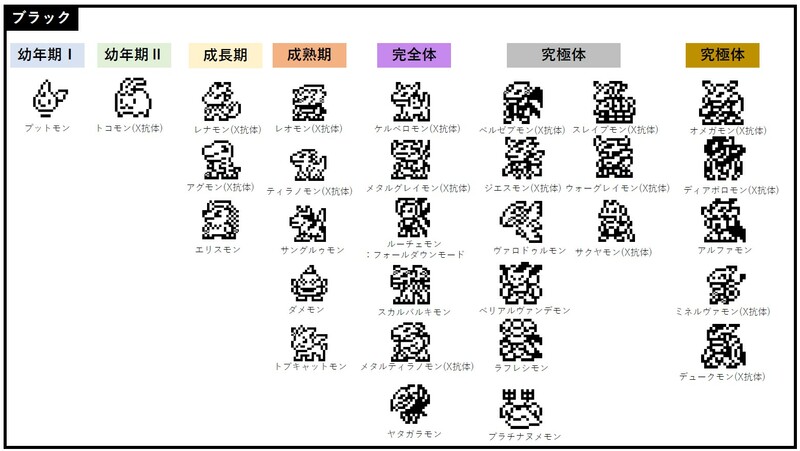 Last column seems to be for either Jogress (Omegamon) or unlockable Mega's (Dukemon). Tsuwamon will probably be some sort of attacking stance for Damemon. I wonder if there will be any special eggs. Added a few additional details thanks to garm. Lol, I was literally putting together a spreadsheet evolution chart with the info we had so far before I saw this.  I like the roster, though I would have made some substitutes myself (like Mametyramon being raisable...so sad). I could do without Erismon and the Sistermons, for instance. Still excited, though! Glad it's not a bunch of obvious lines. Where is ALPHAMON: OURYUKEN??? I am very disappointed. No ALPHAMON: OURYUKEN No pre-order!! I just realized Ouryumon will appear as enemies on the map, So which means you need to defeat Ouryumon with ALPHAMON to unlock OURYUKEN mode?? Wow. What a crap roster. They really feel like step downs from the last two releases.